Visit Our New YouTube Channel to See Questions and Answers to Your Questions! The fee is determined by the type of case you have, issues in the case, a contested versus uncontested matter, evidence in the case, etc. The fee will be discussed at your initial consultation. The initial consultation is important to determine if the Donna Hung Law Group is a good fit for your case and vice versa. Yes. 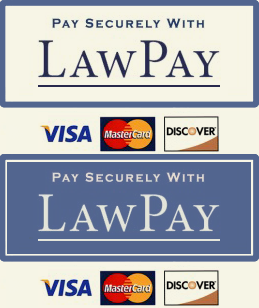 You can make a convenient online payment by clicking here. We accept Visa, Master Card, and Discover. What do I do if I am served with a divorce or paternity petition? If served with an original petition for divorce or paternity, you should seek the advice of an attorney immediately. You only have 20 days from the date you were served to file an answer to the Court, otherwise your Spouse or the other parent may obtain a default judgment against you. Even if a default judgment is entered against you, contact the Donna Hung Law Group immediately as we may be able set the default aside. How do I set up my confidential consultation? Call (407) 999-0099 for the Donna Hung Law Group’s assistant to schedule or contact us here. For family law cases, we charge a reduced rate of $75.00 to $175.00 (depending on which attorney you meet with) for an initial thirty (30) minute confidential consultation (in-office or telephone) which will be added to your initial deposit if you retain our firm. * Therefore, the consultation is technically complimentary. If you need more than thirty (30) minutes, please let the assistant know and we will accommodate you at the reduced rate. For criminal cases, the consultation is complimentary. *Please note that we cannot take every single case that is presented to us. In the event you decide to retain the firm, there is a possibility the firm cannot take your case. This will be determined at or after your consultation. The initial consultation is important to determine if the Donna Hung Law Group is a good fit for your case and vice versa. The reduced consultation fee is non-refundable. Can I speak to an attorney on the phone before they are hired for advice? Not in family law cases. All appointments are made through the legal assistant. What should I be doing to prepare myself if served or is serving divorce papers? Knowing your assets and liabilities is a start. Make sure you have copies of financial statements (savings, checking, investments, credit cards, etc.). Have copies of important documents, payroll records, insurance, etc. Mediation: Mediation involves a neutral third party, who assists both sides to come to a resolution of the matter. The Court requires the parties to mediate before having the matter be heard. If mediation is successful, the mediator or attorney, will draft an Agreement, the parties sign and it is filed with the Court. If this settles all matters, then a Final Judgment is entered at a final hearing. If mediation is not successful, then we set the matter before the Court. Settlement Conferences: – Should your case fail at mediation, settlement conferences between the parties and their attorneys will occur during the course of your case and if an agreement is reached, a Marital Settlement Agreement is drafted, signed by the parties, filed with the court and a final hearing is scheduled. Negotiations in criminal cases: – Negotiations with the state attorney’s office will occur throughout your case and if a favorable resolution is reached, the case will be set for a plea or the case dropped if that is the state’s decision. When will the other party get served? I filed all my motions with the court regarding modification of child custody and support. it has been about 5 weeks. How long does it generally take? What if they can’t find the him at a residence? (he is in-between places) Can they serve him at his place of employment? And what can I expect after he is served, or not served? Did you provide a good address on the summons? The process server will only serve at the address provided to him or her. Yes, your ex can be served at his place of employment but he will need to be personally served and not through substitute service. You should check with the process server you used. How much is an uncontested divorce: I left my alcoholic husband back in 2009. He now is in prison in Texas. The youngest of our children is 16. It depends if it is truly uncontested which means you both agree on how you two will settle your divorce. If your husband agrees and will sign the marital settlement agreement and parenting plan, most attorneys charge a flat or reduced rate as the case will settle with no litigation. The problem arises when you tell your attorney that it is uncontested but it turns into a contested matter and you end up paying for a contested case as most divorce attorneys charge by the hour. Good luck. Husband arrested for 2 counts of felony battery, want to get no contact lifted also both parties want to drop charges we live in Florida, want to drop the charges I made against my husband and my father does as well I know the state will pick it up but will my dropping the charges or not going to court help his case? What can I do to help him? You and your father should file a declination of prosecution with the state attorney’s office so they know your position on moving forward with the case. Also, speak to your husband’s criminal defense attorney on how to properly move forward in the criminal case if it is filed by the state. The attorney can explain subpoena powers of the court and your obligations moving forward.